Streaming every Tuesday and Thursday at 1:00 PM Central Time on YouTube and Twitch, FFG Live is your invitation to come behind the scenes with us at the FFG studio. We’ll have showcases of new and upcoming products, gameplay from our hottest new offerings and older classics, panel discussions with members from every department at Fantasy Flight Games, and much more. 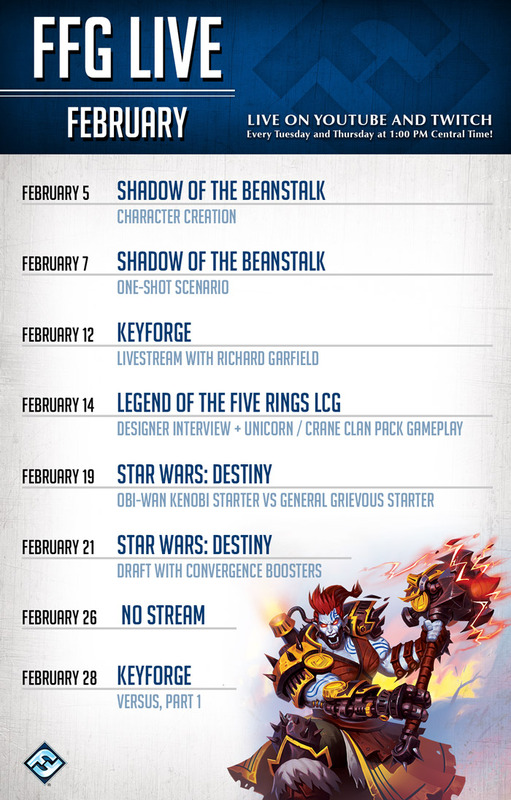 We can’t wait for you to join us, so here’s our schedule of what you can expect in February from FFG Live! Up first in February, we’ll be featuring a roleplaying segment with the soon-to-be-released Shadow of the Beanstalk science fiction sourcebook for Genesys Roleplaying. From creating our characters to engaging in a fast-paced, one-off adventure led by designer Sam Stewart, you can join us in the Android universe on February 5 and February 7. Then, on February 12, we have a very special KeyForge livestream, featuring the game's legendary designer, Richard Garfield! Since its launch in November, KeyForge has welcomed tens of thousands of gamers into the world of the Crucible, with over half a million unique Archon Decks currently registered in the KeyForge Master Vault. At this stream, you’ll have the chance to ask your own questions and hear the game’s designers share just a bit of what you can expect to see from the future of KeyForge. On February 26, we’ll be offline for a day as we finalize construction of our brand-new set to house FFG Live for plenty of future broadcasts. And finally, on February 28, you can catch the first episode of a three-part series—KeyForge Versus! Here, we’ll be following two players new to KeyForge as they explore the game, learning to master their new decks. 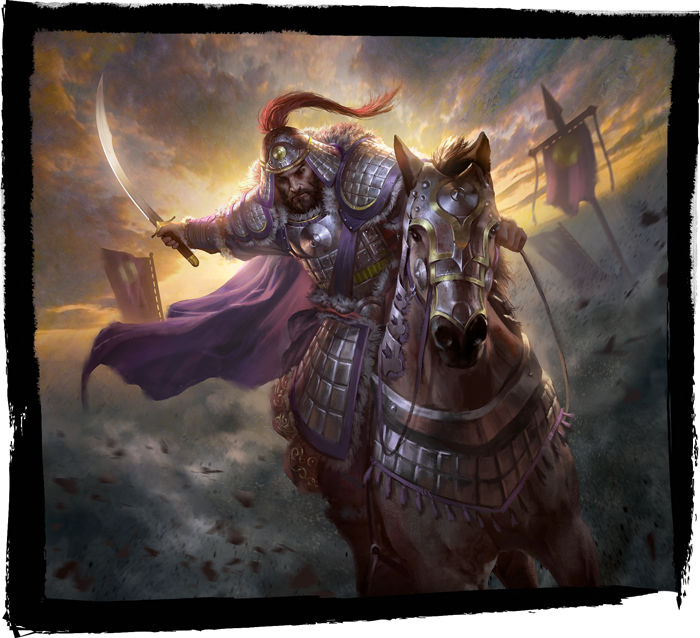 Join us on our YouTube and Twitch channels for FFG Live, starting on Tuesday, February 5, at 1:00 PM Central Time. Don't forget to subscribe so you never miss a new video or livestream—we hope to see you there!